Artemide renews the collaboration started in 2015 with La Biennale di Venezia to support one of the most prestigious Italian and international cultural institutions in promoting new visions of art and architecture and shared value and affinity for the culture of architectural design and the culture of light. Artemide’s contribution is reflected not only as a sponsor, but also through lighting projects that support visitors’ experiences along the exhibition’s paths, indoors and outdoors. 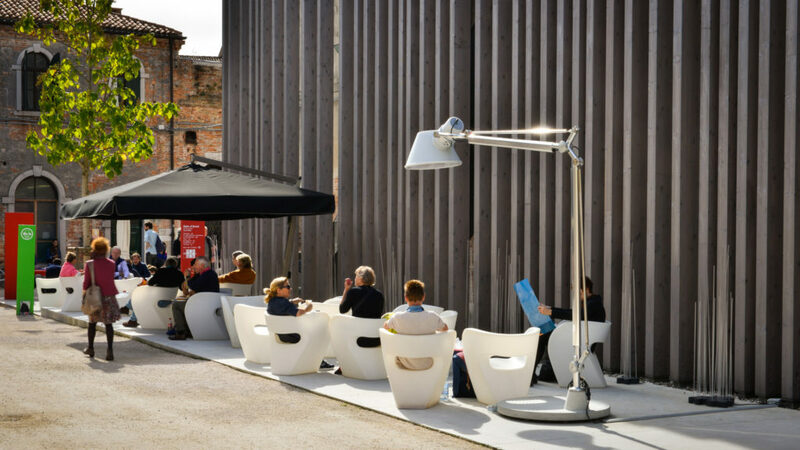 Outdoor seating areas are enhanced by the Tolomeo XXL and Reeds, while a cluster of Empatia suspension lamps hang from the ceiling. 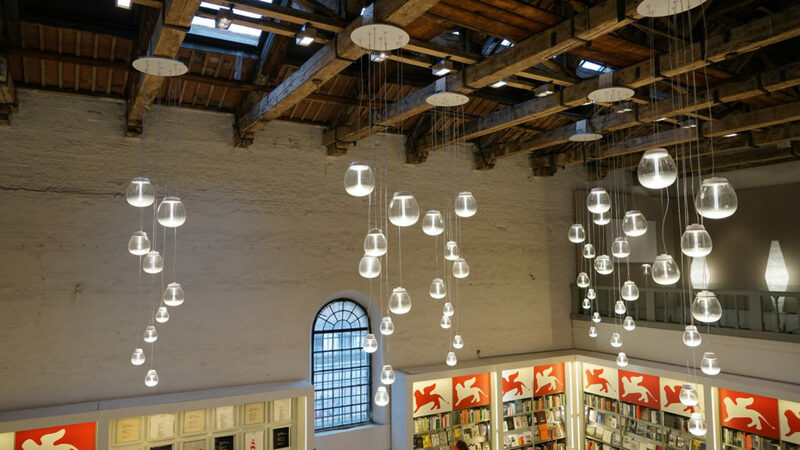 Artemide’s ability to shed light is also expressed in the exhibition spaces of the two Special Projects of the 2018 Architecture Biennale: the Pavilion of Applied Arts in the Arms Rooms of Arsenale, created in collaboration with the Victoria and Albert Museum London, and the installation by the architects Sami Rintala and Dagur Eggertsson, at the Pavilion of Forte Marghera in Mestre. The first is the Alphabet of Light Circular, the innovative patented system designed by BIG, which defines the exhibition’s path. In Forte Marghera’s installation, on the other hand, the Ego Spot professional projectors are integrated by disappearing to give visibility only to the lighting effect that enhances it. Artemide has always researched and designed for a Human and Responsible Light, not only for personal well-being but also to promote a new sustainable and social dimension for collective and urban spaces through an increasingly intelligent and interactive light capable of activating new connections and sharing data through an innovative energy infrastructure.